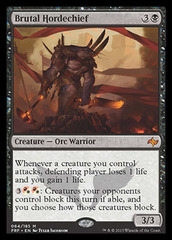 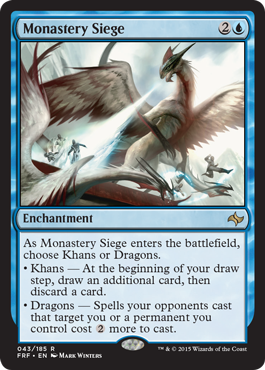 Card Text: As Monastery Siege enters the battlefield, choose Khans or Dragons. 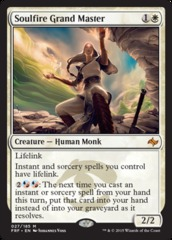 Khans - At the beginning of your draw step, draw an additional card, then discard a card. 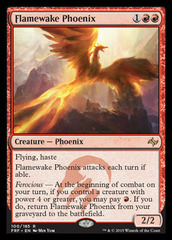 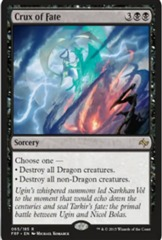 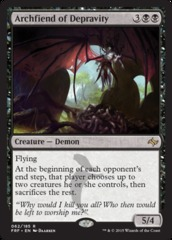 Dragons - Spells your opponents cast that target you or a permanent you control cost 2 more to cast.